Copenhagen has much in common with Dublin. A maritime city and national capital about the same size and not that different in shape. It has a frequent heavy rail system like DART (marked S), and one metro line (marked M) but no trams. Look at the bus routes. The route numbers ending in A are high-frequency services all coming every few minutes and they form a spiderweb-shaped grid. Look at 3A and 4A on the left. They run north south on the west side and then curve to the right in the north. We call those orbitals, because they orbit the city centre instead of going into it. Intersecting them are a bunch of radial lines that go into the centre. Wherever these lines cross (or where they cross rail lines) you can change easily. That’s what makes it easy to go anywhere, not just into the centre. Several areas, you’ll notice, are on only an orbital. If you are on an orbital-only stop, you may have to change buses (or take a bus to a train) to reach the city. The ticketing system, however, gives you unlimited use of the system for a fixed time. NTA is proposing a similar 90-minute ticket, so that your fare never depends on how many times you change vehicles. We practice what we preach. My home town, Portland, Oregon, has almost exactly the same climate. I change buses in the rain all the time. In fact, sometimes I ignore my infrequent direct bus to the office and instead take two frequent buses, because with so much less waiting, I get there sooner. Many European bus networks show the same principle in their design. I chose Copenhagen because it’s especially comparable, and they draw an especially clear map. Again, I don’t want to pretend this is easy. But it’s certainly European (and Asian, and North American, and South American, and Australian) if you care about that. What characteristics of a bus network/transit system would categorize it as European, North American, South American, etc. Other than one being superior to the other. I’m curious to hear these varying characteristics. American cities are often characterised by grid-like street layouts, which makes it easier to plan simple services with little turns, thus often networks can form an interconnected grid. With a few exceptions (eg. Barcelona) this is far from the case in Europe, and as such European networks are often winded enough, with deviations often required to serve specific areas. 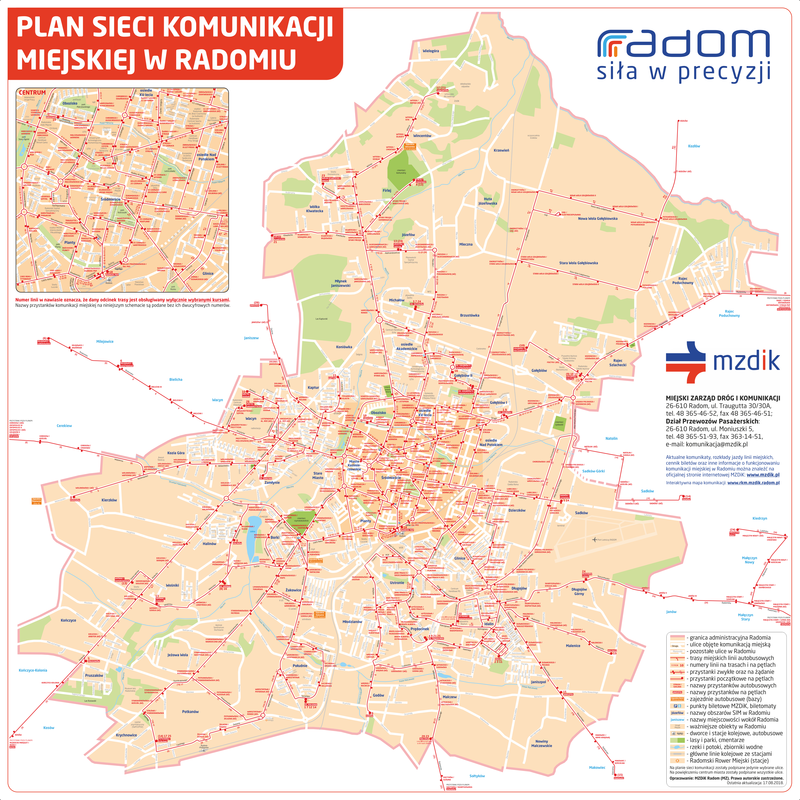 See for example my homecity >> http://mzdik.radom.pl/upload/image/Plan-Radomia-komunikacja-2018-08-17.png >> where the key services (here: 7 and 9, every 10 min from 6.30 until 18.30 Mon-Fri) take the most worthwhile route through the city centre proper, while other services swerve around to serve it in different ways. The north-south rail line also forms some sort of a barrier which means that neighbourhoods separated by the rail line from the city centre are fed into effectively four key corridors, meaning that a lot of services have to take the same road rather than spreading service out. Very rarely is a network characterised by the continental belonging, but rather by its structure and service level. The north side of Dublin is actually reasonably gridded in terms of its major streets, though it’s a polar or “spiderweb” grid rather than the orthogonal grid common in the US. But cities can and do operating grid systems even if the street network fights them to a degree. That’s what we propose for the south side of Dublin, even though there aren’t any continuous east-west streets there apart from M50. I am trying to push back on claims that because the designer is American the network is somehow American. The truth is that the geometry of what makes an efficient and liberating network is the same everywhere, though of course the resulting networks look different due to geography. One thing we should remember, is that one type of bus route planning is not always the best for every city in the world. 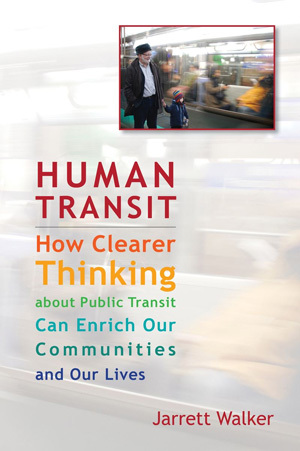 In the transit planning world, we can tend to get caught up in fads. Every city needs a LRT, a downtown streetcar, and now a grid network bus system. Grid and frequent service networks may work great in some cities. However, other cities may require a different type of network. European cities, especially the smaller ones, are much more centralized than their American counterparts. Taking this into account, there may be much less of a need for crosstown services, as the majority of people are still going to the centre. This is just one example of how we must understand the local context of the places we are planning bus networks for. Dublin has some huge destinations that are outside the centre, including the two biggest universities and many large secondary employment centres. Call this American if you like, but we need to adapt the plan to the city. Grids as an abstract concept comes down to the fact that you can get from anywhere to anywhere with a one- or two-seat ride, and you can predict how long a trip to an unknown area will take based on a familiar trip if the grid lines have the same spacing and the buses are the same frequency. Gridded streets have the same advantages, and Jane Jacobs recommended gridded streets with short blocks. Some other people say grids have disadvantages, but those are the same no matter where the grid is. The only city-specific issue for buses is whether the streets are conducive to a grid network and whether people’s destinations are sprinkled everywhere. For instance, Chicago and Vancouver have street grids and mixed-use everywhere so there are always people going every direction to home or activities. Seattle has an archipelago of urban villages in a sea of single-family houses and many physical barriers that block the grid, so some grid lines can’t be very productive because they miss all the commercial centers on either side and there’s a barrier one one side a few blocks away. In that case, a bending or diagonal route between two urban villages may be better than a strict grid line. It’s one thing if *some people* have to transfer because they’re not going in a straight line; it’s another thing if *everybody* has to transfer because the route doesn’t go anywhere except houses. Vehicle mode is not really the same kind of issue as route layout. The city’s trip patterns determine the optimal route layout, which would ideally serve a balance of both the major trips (tons of commuters going from a neighborhood to downtown) and the long tail (little-anticipated trips between any two points). After that, there’s usually a choice of more than one mode that more or less accomplish the same thing. What I’m trying to say is that mode is more often a preference, while layout is more of a make-or-break thing (one layout is effective and another ineffective), so calling layouts fads is dismissing a fundamental issue. A layout in a city will be either effective or ineffective, not based on whether the layout is in fashion, but on whether it gets the largest cross-section of people to where they’re going efficiently. Remember, this is a “continental” European city, with a very large, dense inner city (about the size of the whole map!. Do not be confused by the “City” label. So the 3A and 4A are not orbitals, but local inner city routes. Dublin is a completely different type of city, with a minimal city center, very much like most cities in the english-speaking world. 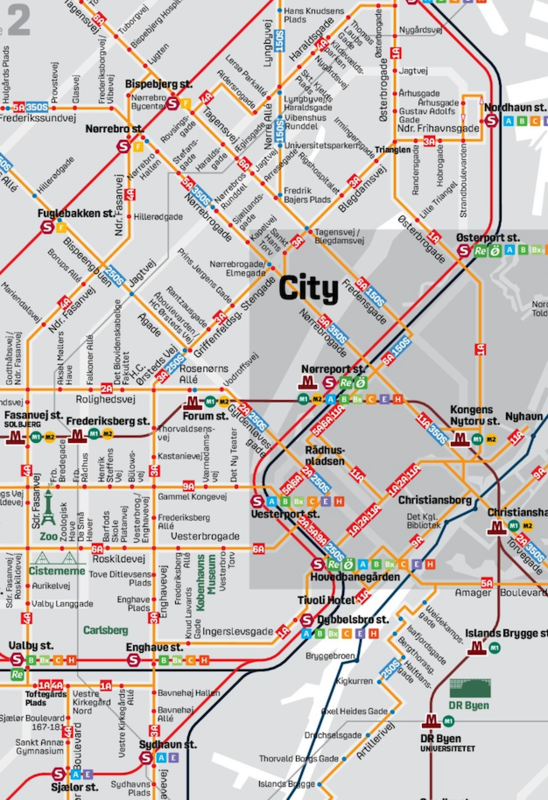 Also, please do not take Copenhagen as an example of a functional bus system. It is definitely not. The A buses are scheduled to run every few minutes, but in fact you usually have to wait 10-15 minutes, then three buses will arrive soon after each other. The first one is packed and the other two are almost empty. So, Copenhagen’s bus system is an excellent example of how to waste money into something completely meaningless. While not as high density city as Copenhagen, Dublin is pretty typical for mid-sized European cities. Looking at the Dublin City Council area, there are 550K people living in 115km2, that’s a density of 4780 people per square km. Compare that to Amsterdam’s CBD, 850K people living in 165km2, that’s 5135 people per square km. Stockholm has 950K people living in 188km2, that’s 5100 people per square km. Not that different. Where Dublin starts to fall down is the lower density of it’s outer suburbs. Taking South Dublin and Dun Laoghaire Rathdown into account the density fall to 2370 people per square km. (Fingal is difficult to do a back of the envelope calculation on considering so much of it is farmland). But within the M50 Dublin has more in common with European cities than generally accepted. I think cities like Munich, Amsterdam, Copenhagen etc. are those we should benchmark against, similarly sized cities that appear as a visitor to function better than we do. A parallel part of the plan is about introducing more bus lanes to improve reliability. Bunching is a challenge in every bus system in the world. Just for the record, describing the street networks of American cities as pure grids oversimplifies considerably. Central Boston certainly isn’t a grid. Washington D.C. is basically a grid, but the most important streets radiate out in a circle pattern from the city center. San Francisco is not one grid but many, and also has significant hilly areas that break things up (as do Los Angeles and Seattle). Chicago, on the other hand, is pretty close to a pure grid. This, and also smaller US cities tend to not have gridded networks at all even if they have gridded street networks. Grid transfers are necessarily untimed, and you can’t do that if your network only supports a bus every 20 or 30 minutes, let alone the hourly headways common in American cities with 0% transit mode share. This footage taken from the top deck front seats of a Dublin bus illustrates perfectly the urban geography of the city. From what I can see it looks no different from any large city in the British Isles. I’ve looked at the bus connects website and I think JW associates have done a good job. Dublin has been crying out for a rationalised ( and I mean a rational network not a reduced network) for years. What’s North American about the design? Dublin is basically a hyper British type of network. Chaotic, non-integrated and very wasteful in parts coupled with under serviced areas elsewhere. The proposed change is to a Munich / Hamburg / Vienna set up rather than American. Good luck. I am very interested in seeing the outcome of this project because if successful I can see no reason why it could not be applied to a UK city as they are physically very similar to Dublin. The UK political situation has altered recently with the appointment of directly elected metro mayors to the largest urban areas with powers to replace deregulated commercial bus networks with regulated ones.